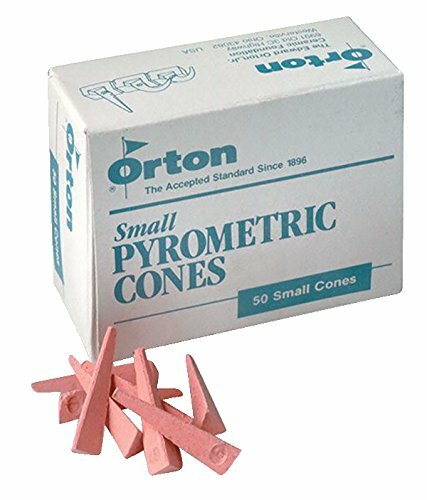 Orton Junior Pyrometric Cone 04 measures 1-1/8 in and has a temperature of 2008 deg. When the heat absorption temperature of the ware reaches its exact limit, the cones will shut off the power to the kiln. It is compatible with Dawson kiln sitter and is sold as 50 per box. If you have any questions about this product by AMERICAN ART CLAY CO INC, contact us by completing and submitting the form below. If you are looking for a specif part number, please include it with your message.